2018's Top 4 Marketing Trends for Businesses in the Dog Industry – furevery – A powerful new app furevery dog parent, furevery dog and furevery dog business. We connect hands with paws. The pet market is absolutely EXPLODING right now, and we’re loving every minute of it. It is estimated that the pet industry in Canada is worth an estimated 7 Billion dollars annually. This includes what pet parents are spending on food, supplies and services for their beloved pooch. According to the Harris Poll, nearly 95% of pet parents consider their pets to be a part of the family and 71% of polled have at least one dog in their household. These pet parents, specifically the dog parents, are spending more on their dog’s than ever before. Of course it comes as no surprise that you would spoil and spend your hard-earned money on your four-legged family member. 1. Video Marketing In 2017, video accounted for over 65% of all consumer internet traffic. People are engaging with video content on social media, in their inbox and on websites. Video is everywhere in a pet parents buying journey and can help guide them to make a purchasing decision. Your video doesn’t have to go viral, it just has to get in front of the right people, convey a strong message, include some cute animals (duh) and present a call to action to the viewer. The other great thing about creating video content is that you don’t have to break the bank doing it! You can start small by creating short videos in-house and maybe splurge on one professional video to test engagement. Get creative with the way you tell your story, post the video to all your networks to increase engagement and ask your viewers to take action after watching the video. This could be anything from linking to your website, suggesting more content for them or asking them to book an appointment or buy a product. 2. Influencer Marketing We can almost guarantee you’ve seen and interacted with influencer marketing, you just might not know it. Influencer Marketing is the act of leveraging influential people, who have influence over your potential buyers, and working with them to create content that promotes your product or service. Studies have shown that brands see the most success working with micro-influencers, who are the individuals with followings between 2,500 to 100,000. Building a partnership with micro-influencers can help your brand tell it’s story, build a community network and generate traffic and revenue. We think that Hound Collection, Bark Box and Canada Pooch conduct great influencer marketing campaigns by teaming up with great instagram dog accounts in areas they want to sell into. The most difficult part of conducting influencer marketing is finding influencers and managing the relationship. Luckily there are platforms like Socialpeeks, that can help find you the best influencers for your brand and handle all communications. 3. Advertising/Sponsored Content Advertising and sponsored content can help your business expand it’s reach, get in front of the right target market, track engagement and convert, convert, convert. Whether you’re selling a product, selling a service or selling an experience, advertising and sponsored content can be extremely successful. The keys to advertising and sponsoring content is to know the audience, track the engagement (like click-through rates) and create great content to represent your brand. For businesses within the North American dog industry, Furevery app is a great place to promote your service offerings or products. 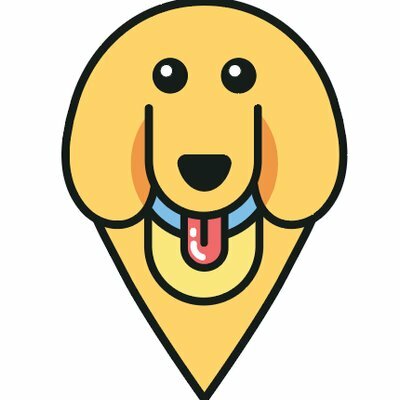 Furevery puts you directly in front of your target market (dog parents) and can provide you with analytics on how your ads or sponsored content are performing! Advertising and sponsored content in Furevery provides gives your brand a competitive advantage and gives your marketing team measurable ROI. Email [email protected] to get started today! 4. Blog Content Nowadays everyone and their mother are bloggers, but that doesn’t mean you don’t need a blog. Having blog content on your website can help drive traffic to your website, keep visitors on your website for longer, position you as a thought-leader in the industry and help develop better customer relationships. In the dog industry specifically, your visitors are most likely dog parents who are looking to you for expertise on topics like dog health, training, socialization, behaviour and more. By posting blog posts on topics that resonate with pet parents, you are able to show your knowledge while marekting your business, service or product. If you produce great blog content, your visitors will keep coming back for more and you will be able to move them through your sales cycle. We expect more brands in the dog industry to follow suite and implement these marketing trends into their 2018 marketing plan. We specficially love these trends because they can be leveraged for all budgets while producing a high return on investment. If we had to choose one of the above trends to really take over in 2018, we would argue that advertising will be better and more valuable in the hearts and minds of consumers, thus yielding higher results and being the overall most effective marketing trend. We can’t wait to see how your dog business chooses to implement the above markeing trends!